Even if you’re already an amazing runner, it can’t hurt to take on board a few trail running tips if you haven’t done it before. It will be a pretty different running experience for you, especially if you’re used to fast-paced and competitive city runs. All trails are different, so it’s pretty tricky to gauge any kind of trail speed. So definitely until you know at least a bit about what you’re capable of, make a point of slowing down. 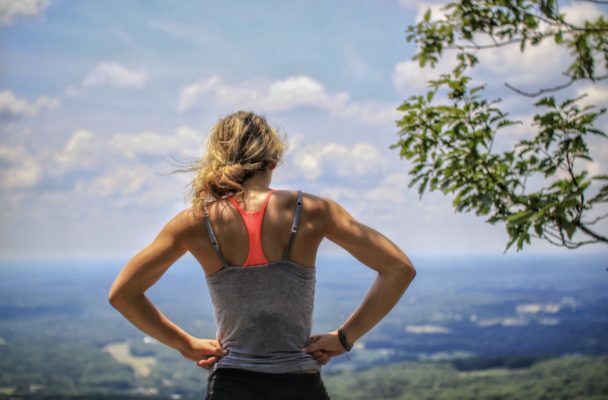 If you’re competitive it could take a bit of willpower, but your road-running speed will be much, much faster than what you can probably manage on a trail even when you’re at peak fitness. It’ll also give you the chance to strengthen those muscles you don’t normally use so much — even just in your ankles, which won’t be used to the bumpy trail ride yet and might suffer from unexpectedly rolling over. Apart from enjoying a chat or two with other trail runners, you want to be careful not to get caught up in matching their speeds. Everyone will have their own rhythm, particularly starting out. You’ll be good at different parts of the trail, and there’s nothing worse than thinking you have to sprint up a hill because someone else has. A relaxed approach to trail running will be the best starting point for you — you can work on competition later on. Smaller and faster steps will massively help with trail running. For going uphill it’s the same as going up stairs — taking them quickly and one at a time is easier than making massive lunges and taking 3. Smaller strides generally though will help you land on the middle part of your foot rather than the heel, which will help you propel yourself forward, keep your balance, and protect yourself a little from knee injuries. Usually when road-running the advice is to look up and further ahead. Of course you still want to keep good running form (back and neck straight) and make sure every so often you take in what’s probably an amazing view. But at the same time nature’s out to get you — be careful of tripping up on things in the middle of the trail that will put your trail running adventures to a quick halt. Core training is good for any running. Going uphill (and downhill for that matter) it will definitely make your life easier. And making sure your feet and ankles are as strong as possible will also help you stay stable when you inevitably do a little roll over on a rock. You can train them up and develop your stability generally by investing in a wobble board — and then maybe you can work on getting faster and more confident on the trails. Don’t overstep yourself too soon. Any training plan for any other running discipline will advise you to increase at a rate of 10%. Trail running is definitely no different, except for the fact that it’s even more important to restrict yourself (maybe even to less than 10%) — the last thing you want is to go too far mid-run, injure yourself, and discover yourself in the middle of nowhere and a way away from home. You don’t want to carry lots obviously. But you can take some precautions in case you end up a little lost, or a bit more tired than you expected. It’s strenuous work and your enjoyment might be determined by having one more or one less energy sachet or water stop provision than you thought you’d need. You’ve got hundreds of trail runs that you can do. And they’re all different. So take advantage of them. It’s a pretty cool thing to do, and it’s not worth letting yourself get bogged down by what other people say or worrying about x, y, and z.